The Kidney Injury Panel 3 (human) Kit provides the assay-specific components for the quantitative determination of glutathione S-transferase alpha (αGST), calbindin, clusterin, kidney injury molecule-1 (KIM-1), osteoactivin, trefoil factor 3 (TFF3), and vascular endothelial growth factor (VEGF). 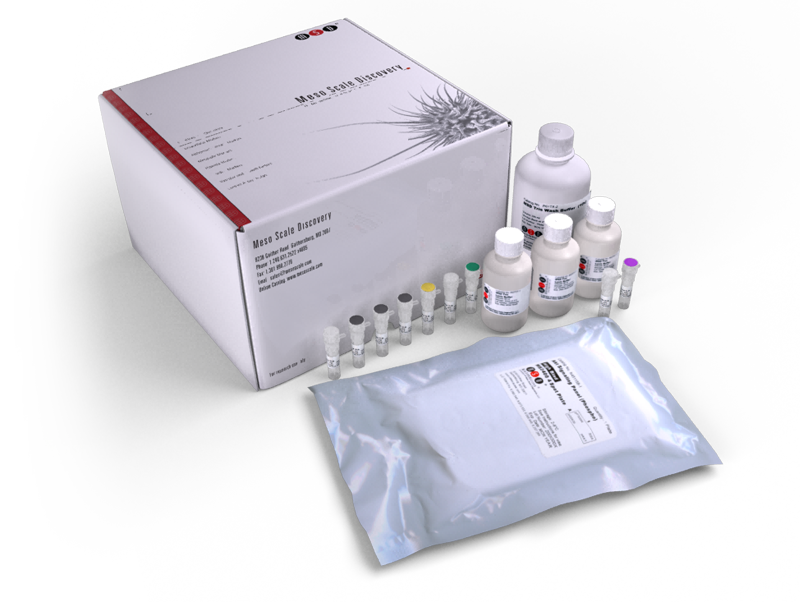 This kit may be used for the analysis of these kidney injury biomarkers in human urine, serum, plasma, and cell supernatant. Urinary αGST levels are a specific indicator of proximal tubular function and injury. Calbindin is a biomarker for acute kidney injury because it is induced in the renal distal tubules. Clusterin levels in urine can be used to distinguish between glomerular and tubular injuries; they can also be used to assess the severity and progression of renal damage. KIM-1 is released upon acute kidney injury and can be measured in urine, serum, and plasma. Upregulation of osteoactivin in the tubular epithelium in response to renal injury has been implicated in the triggering of renal interstitial fibrosis. Urinary TFF3 expression is markedly reduced in response to renal tubular injury. VEGF levels in urine increase during impaired renal function following hypoxia or other acute and chronic injury.